After announcing their debut LP at the top of this month, the Andy Shauf-equipped Foxwarren have shared another new track from the project. Titled "To Be," the song follows the previously shared "Everything Apart" and can be heard in the player below. Of the track, the band's Darryl Kissick explained, "We tinkered with it for ages and ended up drastically reworking it the weekend it was recorded, but we knew early on that it was going to be the opening song on the record,"
Shauf added, "It was a guitar riff that I'd been playing for a few years at least, trying to figure out what to do with it. It went through quite a few versions if I remember correctly. Foxwarren have a bad habit of never finishing vocal melodies and lyrics before we finish the music, so it made it a bit tricky and ended up being overhauled at the last minute." 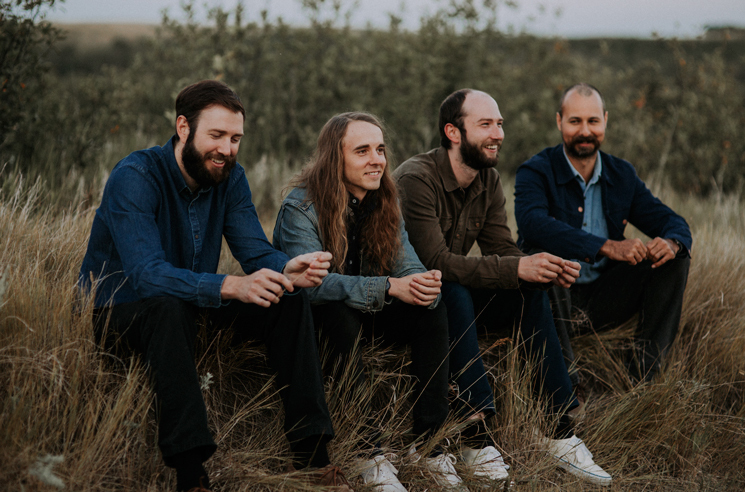 As previously reported, Foxwarren finds Andy Shauf lining up alongside childhood friends Dallas Bryson (guitar/vocals) and brothers Darryl Kissick (bass) and Avery Kissick (drums). The group's self-titled LP is set to arrive November 30 through Arts & Crafts/Anti-.